Nina grows throughout the book as she gets put through the paces and what to me started out as a whiny character develops into a strong woman who knows what she has to do, even though others are telling her not to do it. She is a great lesson in following your own path and heart. The world, including our loved ones, may be trying to get us to go one way, but to be true to ourselves, we must follow our instincts. Yalen, on the other hand, is strong and determined from the get-go. My only frustration with him was his constant withholding of information that Nina wanted, but that was only because I wanted it as well. Yet, that was the motivation for all of Nina’s decisions as well as her growth, so I can see why it happened as Stephanie had it. You also have to admire a man willing to sacrifice all in order to do what was right. Mrs. Ingram’s portrayal of Nina’s childhood friend and onetime love interest was very well done, I thought. At first, I was confused by Nina’s father’s insistence that she marry a man she didn’t love, but it all begins to make sense in the end and as it’s revealed, he has secrets of his own. All good characters do though, right? Also, her portrayal of the story’s villains was very well done and kept me guessing as to whether they were actually bad or not. The several twists and turns held my attention and kept me turning the page to see what would happen next and never really knowing if what I thought to be true was actually true. While the Between World needed another read through to catch some of the technical errors we sometimes miss because we are so used to seeing our story, the novel is a fantastic read that I would recommend to anyone, whether they read that particular genre or not. There is enough of everything–romance, mystery, magic–to keep someone’s attention. It seemed at the end that there was a set up for a sequel and I truly hope that is the case as there is so much more that can be explored in the Between World. 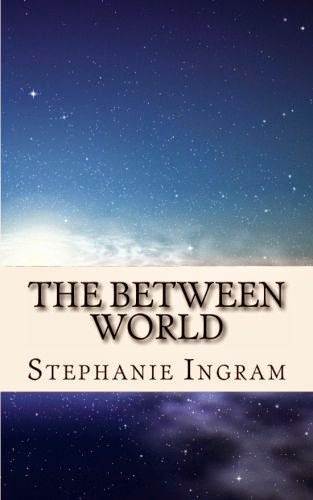 I look forward to reading Stephanie Ingram’s other novels. Do yourself a favor and check them out.